At a zoo north of Tokyo Capybaras are enjoying a hot spring bath sprinkled with autumn-colored leaves. 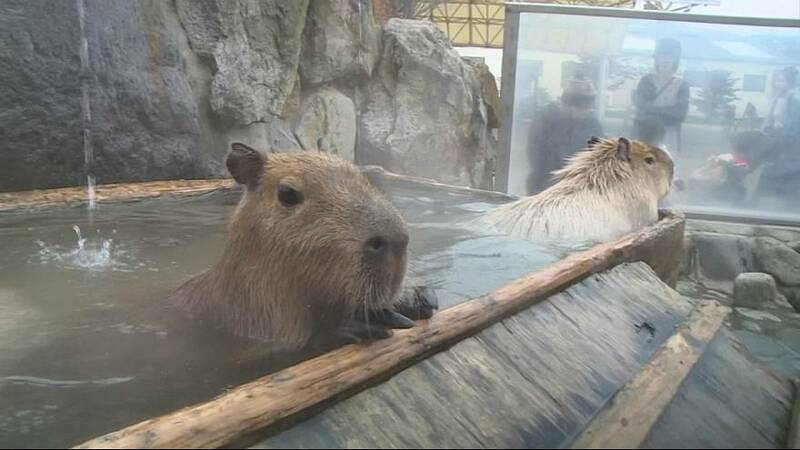 The giant rodents enjoying a hot spring bath are a popular winter attraction at Nasu Animal Kingdom. This year, zoo staffers floated red and yellow foliage in the bath. The capybaras snack on the leaves as they soaked themselves in the hot water. Visitors snapped photos of the relaxing rodents, and played with them.